If you’re tired of trying to get the kids to study books, you’ll enjoy this review. 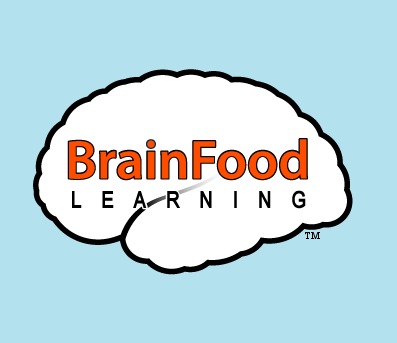 BrainFood Learning has three great DVDs. My boys couldn’t decide which DVD they wanted to request, and I couldn’t get them to agree on one, so we ended up drawing from a hat. We ended up with Fascinating World of Insects, and despite Jeffrey’s aversion to bugs, even he was drawn in as we watched the DVD. Insects featured are: grasshopper, ladybug, rhino beetle, firefly, mosquito, honey bee, water strider, ant, praying mantis, dragonfly, and butterfly. 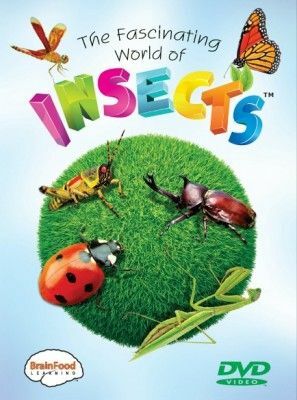 Each insect is shown in its natural habitat, and the DVD gives a few minutes of facts about the bug. I like that it was long enough to give us information, but not so long that the kids got bored. This video is appropriate for all ages, and even your little ones won’t be bored by excessive narration. After each segment is a short pause to supply a definition for a word from the previous segment, such as metamorphosis or pollination. Bennett says his favorite insect was the praying mantis, but for weeks, when we’d go to the pool, he’d see a bug, and exclaim, “It’s a water slider!” (No, that’s not a typo.) Jeffrey claims to not have a favorite (he really doesn’t like bugs), but we did learn some interesting facts, especially about fireflies. At the end of the DVD is a review quiz. BrainFood has also released a study guide to accompany each DVD. Bennett is watching it again right now, and he asked me if we’ve ever seen a praying mantis. Then the narrator said that the praying mantis lives in Asia. B: That’s why we haven’t seen one. They live in Asia. Me: I think we may have seen one at the zoo. B: No. They only live in Asia…. But I think I saw one once that walked from Asia to Georgia. Ah, the fascinating mind of a five-year-old….